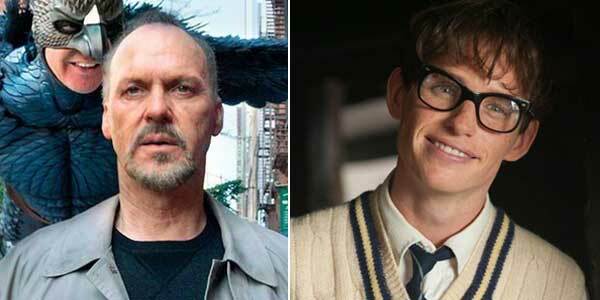 Michael Keaton vs. Eddie Redmayne for Best Actor. 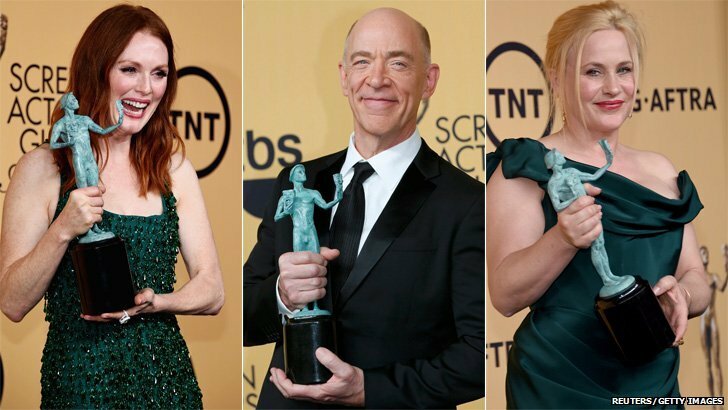 Looking from all the recently held major film awards in Hollywood, I am almost 100% certain that Julianne Moore will win the best actress, J.K. Simmons to win best supporting actor and Patricia Arquette for best supporting actress in the coming Academy Awards. They literally swept almost all the awards in their respective categories in the current Hollywood awards season before all culminates into the prestigious Academy (Oscars) Awards. No question on their worthiness as their performances this year easily out-shined the rest in their respective categories. Right now, they should start preparing a nice shelf to display their coming Oscars trophy. They are locked for it. 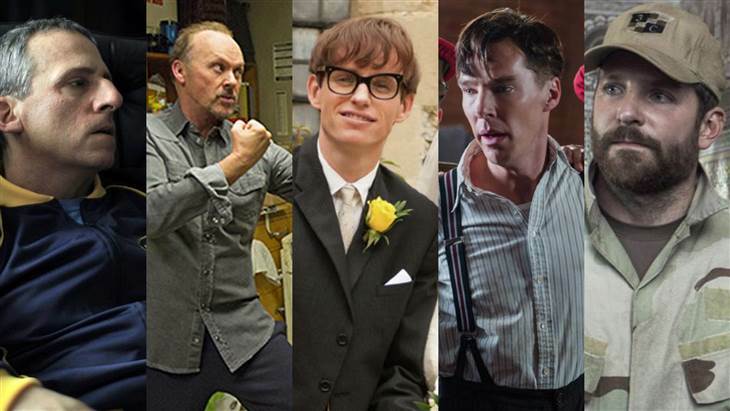 What sets to be the most exciting race now is the Best Actor category! Looking from the current statistics, Michael Keaton is a clear front-runner in the race with over 20 best actor prizes awarded to him earlier for his critically-lauded performance in ‘Birdman’ film. I didn’t watch the film, hence I couldn’t see it myself whether he is really that good. Right now, I will just stick to the majority and agreed that he is excellent in that movie. If not, how can he won that much of best actor trophies in the current Hollywood awards season. His most distinguished win are at the Golden Globes Award 2015 for Best Actor in a Motion Picture – Musical or Comedy and Best Leading Actor at Critics’ Choice Award 2015. However, right now, I’m sure he is no longer that confident to continue his winning streak in the last two approaching major film awards; British Academy of Film Awards (BAFTA) and of course, the Academy Awards (Oscars). Why? Eddie Redmayne is now racing up to pose a huge threat to Michael. Eddie Redmayne’s performance as the physicist Stephen Hawking in the film ‘The Theory of Everything’ had already won him Golden Globes Award 2015 for Best Actor in a Motion Picture – Drama. Despite losing Critics’ Choice to Michael, he got back to the race by winning the Screen Actors Guild Awards (SAG) yesterday. The SAG Awards are always seen as a strong precursor to the coming Oscars, and with Eddie winning over Michael for the Best Actor in SAG, then this is going to be very exciting. Michael could no longer perfect his collection of Best Actor trophies right now. 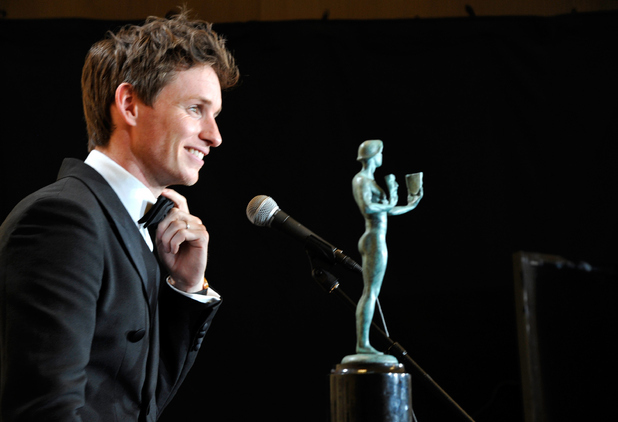 Eddie took the Screen Actors Guild Award, which is voted by about 160 000 members of actors, performers, journalists and radio personalities across the world. That’s a lot of people there. This may hint out that in Oscars, both is on neck-to-neck battle. Wouldn’t want to give Steve and Bradley 0% eventhough I wished to actually. But since they are nominated, they deserved at least a bit of percentage in my analysis of chances of winning. If Academy wants to deliver another surprise, then it would be Benedict Cumberbatch. I like his performance in ‘The Imitation Game’, but still not as fascinating as Eddie or Michael. Before that, many already predicted Michael as the hot favourite, now Eddie also successfully raised his Oscars’ chances. Now, we will just wait and see the result in the coming BAFTA and Academy Awards. 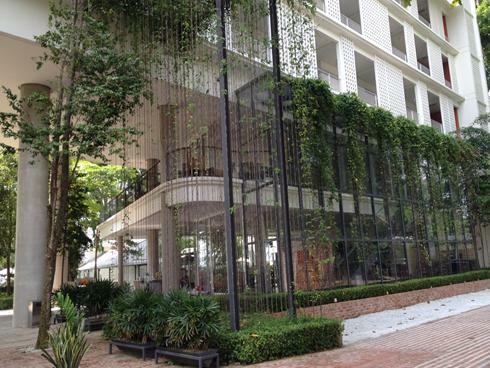 10 design tips to beautify elevations of apartment building. 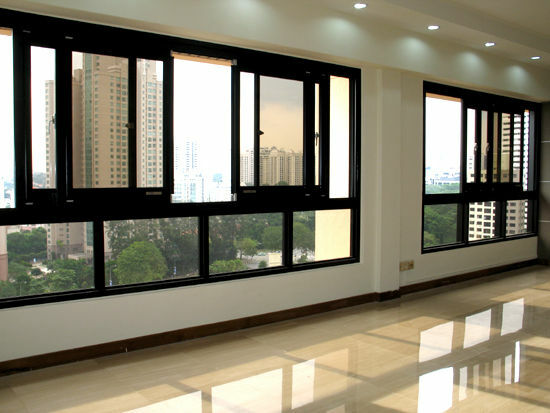 When you are designing an apartment / condominium, is there a time when you find out that your layouts are okay but not for the elevations? Yes, efficient and convenient spatial planning is essential, but let us not forget that the buyers / clients will see how it looks like from the outside first before getting inside. Hence, elevation (facade) treatment is very important from the very early stage of designing itself to avoid ended up in a boring-looking apartment. Nobody will likes it. 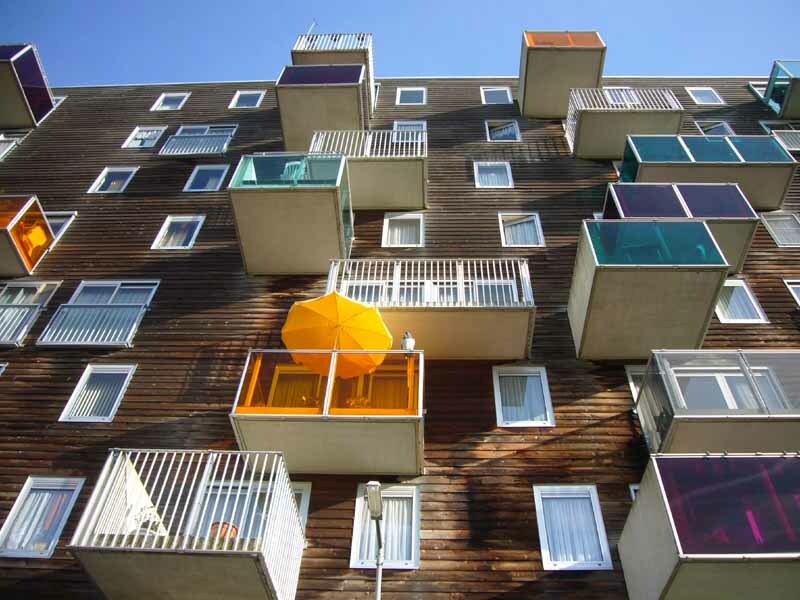 My office do frequently experienced this kind of issue too, but we had the following ten ways to enhance the aesthetics of the apartment’s facades to make it more interesting and appealing. 1 – Coping / hood. (a) extended or protruded out further to form overhang. (b) go all around like a wrap around windows. 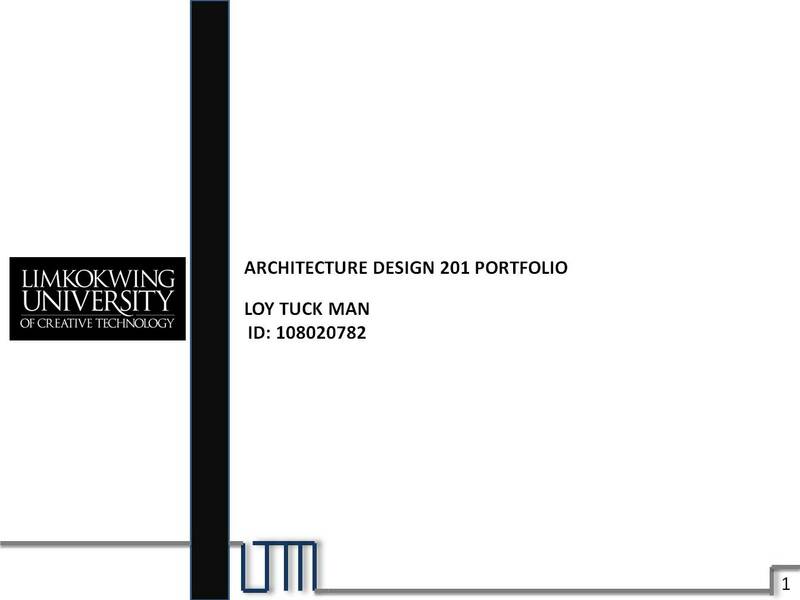 (c) different on its thickness. 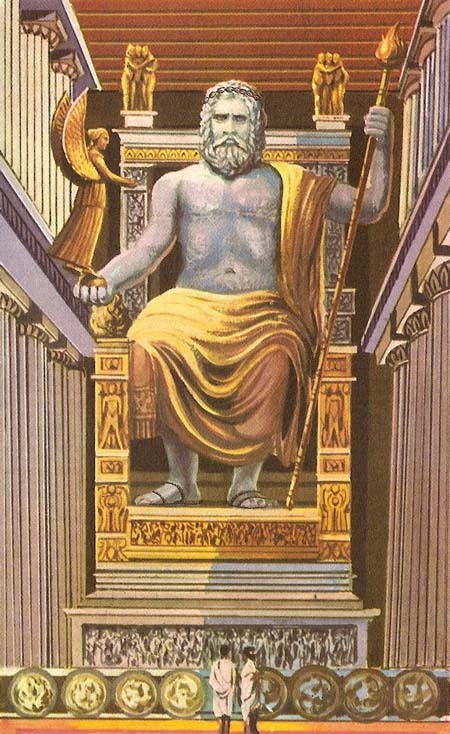 (d) go along to join with other nearby elements like columns, etc so that it looks harmonious and integrating in bigger picture rather than just being a coping alone. If the clients aren’t putting much restriction on the budget, then go for beautiful or artistic cladding which would be a perfect addition to your boring wall. Cladding can be in aluminium, wood, glass, stone, tiles, concrete, or even bricks (exposed) to show off the beauty of materials. What’s good about cladding is that it isn’t permanent (just like an extra) and can be replaced or changed if needed to. Usually, budget is limited. No allocation for cladding. Hence, we have to go for cheap yet effective option; groove lines. Easy to make and doesn’t cost much, groove lines prove to be a very popular choice to make a plain wall interesting. Also called shadow lines, it helps to minimize the ‘heaviness’ of a particular wall by appearing to divide it. Put some nice colours to your building and it would be nice. That’s it. Simple. Let paint does the job. 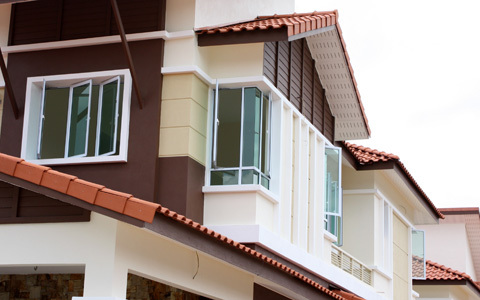 However, be careful when selecting which colours to apply to your facade. For current modern choice, we usually go for grey and white. But if you want it to be a bit more playful, just put in some other colours for some ‘fun’ to your building. 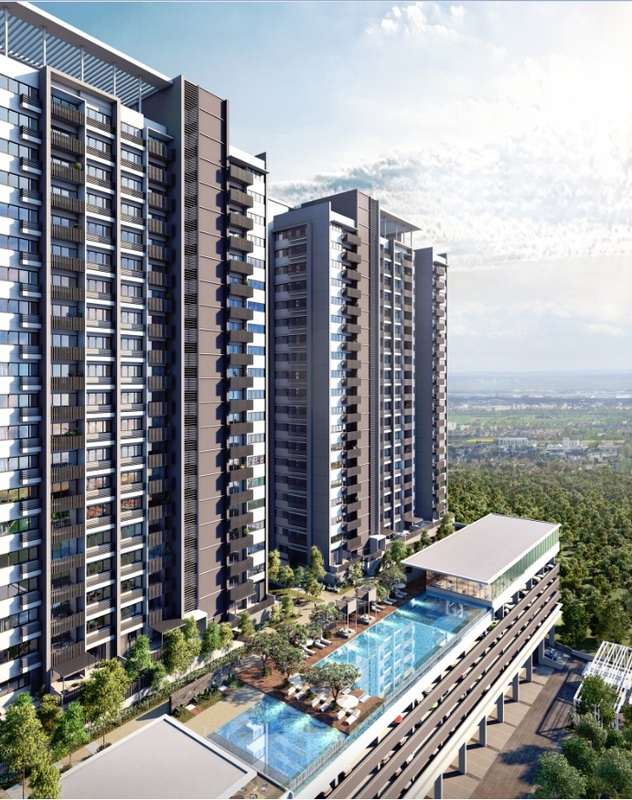 It makes your facade looks ‘energetic’ and overwhelming. Whether adjustable or just fixed, louvers is also another great architectural element to beautify building. 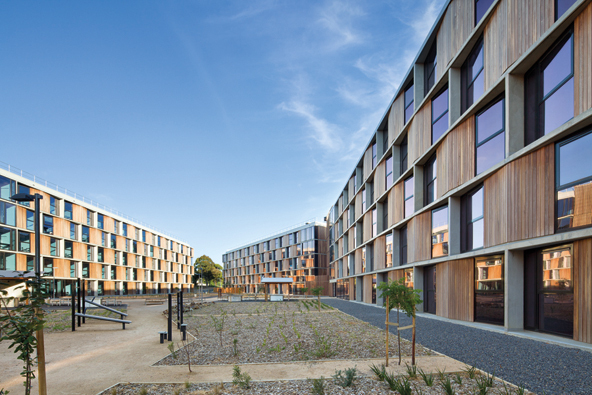 Not only it helps to shelter your building from excessive light, the shadow of louvers cast over to your building creates a very lively effect. 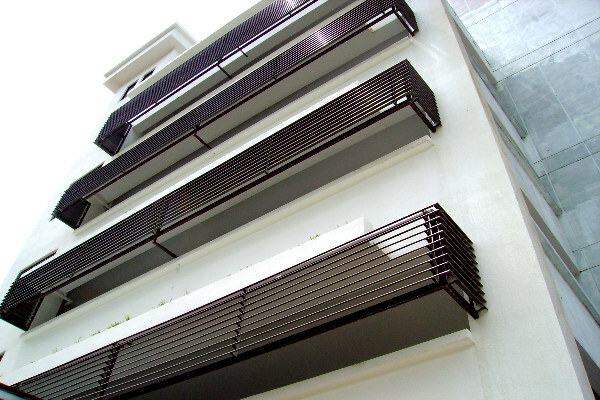 Black aluminium louvers are now more popular choice especially over a huge staircase, or even effective to cover up the air-conditioner (AC) ledge. (a) Full height glass window. (b) Different configuration of openings. (d) Interesting framing to the windows. 7 – Balcony + Railing. An apartment building designed with no balconies is a big no. It is way too boring and makes everything dull. Balcony is also a nice outdoor place within home to enjoy being outside for views or some fresh air. The protruding balconies (can be configured differently on different levels for playful effect) prevents building’s facade from being flat. No matter how a good a building looks like in the day, it stands at no place if it is not beautifully lit at night. White-coloured fluorescent lighting is outdated now, as we switched for LED (long-life, cost-saving, many more benefits) and usually go for warm colours. 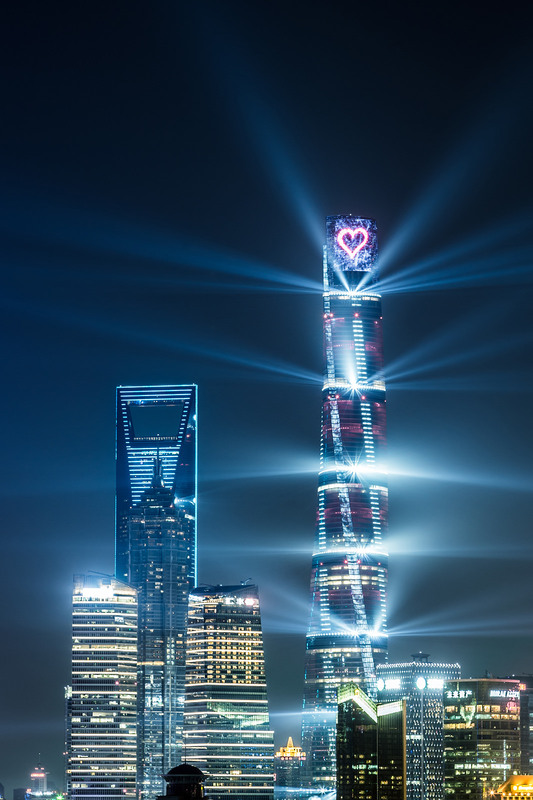 Lighting proves to sets the mood for a building. Here we talk about green wall. Although people should consider for its maintenance, but it is to no doubt that landscaping helps to soften the ‘hardness’ from those solid walls or elements. With the risk of lessening forest in cities nowadays, home occupants would see this as at least a perfect opportunity to get close to nature for a bit. Would you just expose the awful-looking rainwater downpipes running down from the roof to the ground for your building? Definitely not. However, we can’t get rid of it as it is an essential element for your rainwater drainage. So, let’s box it up with a wall so that it will be left unseen. If the box-up looks odd to you, then give some treatment to it to make it looks compatible to your building’s overall look. 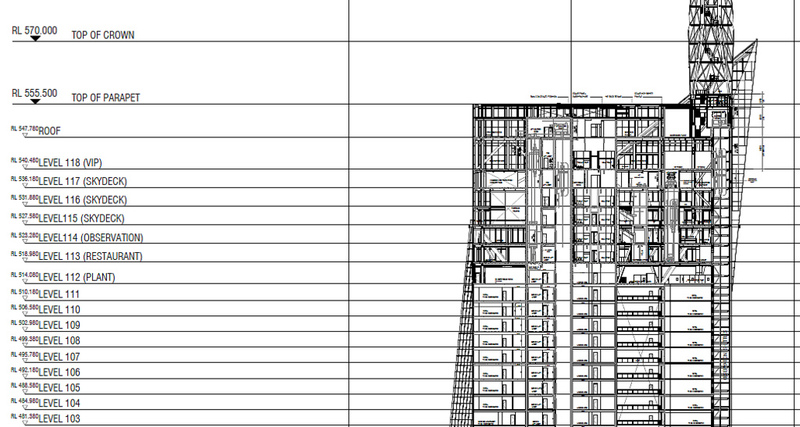 Before I’m ending this, here’s a last advice before you are finally satisfied with your building’s elevations. Try to look again to the top of your building to see whether it looks really good or not. The top part of an apartment building is important too as people will see it first from far. Push or maximise architectural elements up there further and don’t limit yourself. Make sure it has a nice roof or an appealing pinnacle at the top. Same goes to the base portion to impress people on street level. Treat things from bottom to top nicely. Don’t leave out any angles. Just finished my first TVB series of the year, ‘Noblesse Oblige’. ‘Noblesse Oblige’ ( 宦海奇官 ) is a Hong Kong drama sets during Qing dynasty that starred Kenneth Ma as To Chan Fung, a lazy but good-hearted county magistrate who is given the task to clear the government from corrupted officials. Tavia Yeung starred as Kenneth’s sidekick, Wai Lam whom is a Buddhist nun. The 21-episodes long drama also starred Joel Chan, Ram Chiang, Susan Tse, Lau Dan, Benjamin Yuen, Cilia Lok, Yoyo Chen, Lee Shing Cheung, etc. This is the first TVB drama of the year that I watched, and the series ended just now with its two finale episodes on Saturday’s evening. I enjoyed this series because while it is a light-hearted production, the plot also includes in some serious matters (mostly on politics and corruptions) to create some exciting dramas. At one point, you get to be entertained by quite a number of good laughs from the series, while as the scene switches, you get to see real ‘business’ going on. At the very beginning, the series reminded me of ‘Rosy Business’, a very critically-acclaimed drama back in 2009. That series, along with ‘Noblesse Oblige’ were also produced by Lee Tim Sheng. 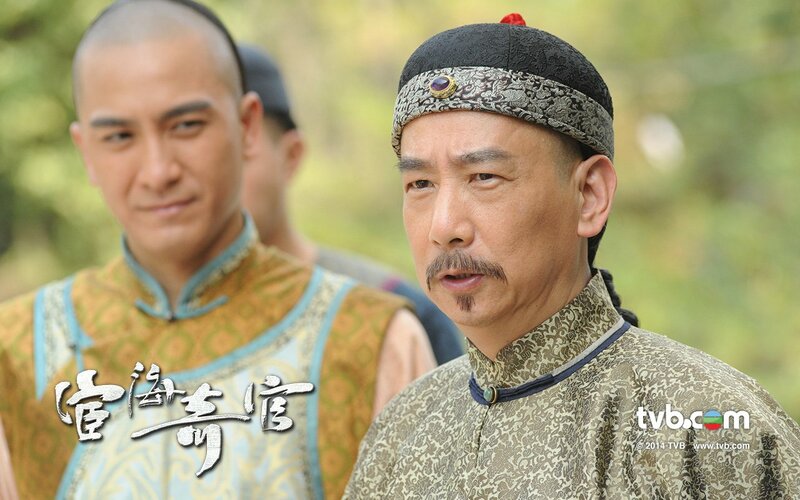 He usually stood out on delivering some very good quality series to save TVB. Of course, ‘Noblesse Oblige’ is not as serious or as intensely good like ‘Rosy Business’. This time, Lee puts a bit more emphasis on comedy to this series (for something different) and it still worked, eventhough ‘Rosy Business’ is still better. As the series progresses, ‘Noblesse Oblige’ gets back to ‘typical’ low-drama moments that many present TVB series are experiencing. That’s a bit of disappointment there. Luckily, this series is short and won’t waste much of our time on further pointless story development. Kenneth Ma is mostly exaggerated on his acting in this series. I think it is needed for his type of role here to push things slightly beyond boundary a bit for better result. However, his acting doesn’t really improves. Same goes to Tavia Yeung. She is mostly shy, quiet and easily ignored in the series despite she is the first female lead. Even her fellow mate, Wai Yu (portrayed by Cilia Lok) had far more interesting and catchy role here. Tavia’s character is only needed to protect and love Kenneth. Her past story, revealed only in the last two or three episodes of the series appeared to be ‘forced’ into the drama and is unappealing. Ram Chiang is good as supporting role here (he is always good in this kind of role). Fortunately, the drama’s ending is not bad. It’s a happy conclusion to Kenneth and Tavia (always like to see them as an on-screen pair. They are very compatible) and to his family and friends too. The main villain (Lee Shing Cheung) died, but I actually preferred him to be put to justice by the emperor himself rather than being killed by revenge. This implies to us that taking revenge like this is reasonable. That’s not the way it is supposed to be. The killing scene is also quite similar to that of ‘Overachievers’ drama last month in its finale episode too. Before I forgot, Lee Shing Cheung did absolutely brilliant as the villain here. Very good veteran actor. Out of 10 points, I rate ‘Noblesse Oblige’ a total of 7.4. Better than many typical TVB dramas nowadays, but still not that good to the point that I can remember this for long. I guessed ‘Interstellar’ would be the last 2014 film I watched before I put my focus back on this year’s films. 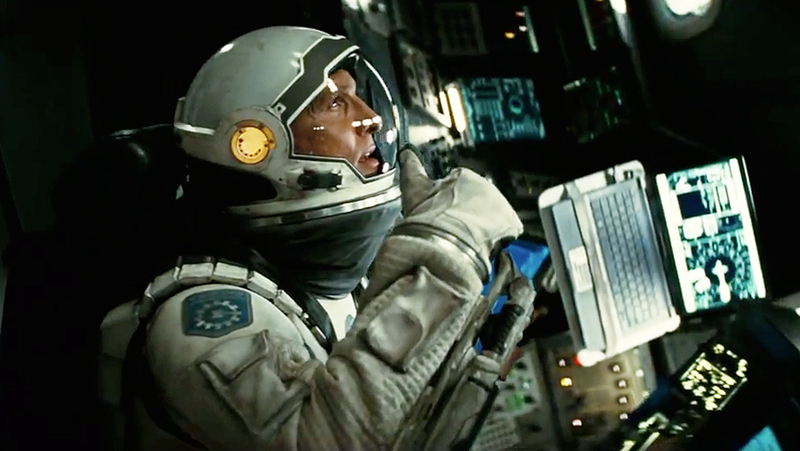 ‘Interstellar’ ended my 2014 movie reviews in high note as the movie is crazily good! It’s a masterpiece, another one by director Christopher Nolan whom had previously delivered to us amazing films like Inception and ‘The Dark Knight’ franchise. He never disappoints in producing exceptionally cool and ‘heavy’ films which are usually Oscar-favourite. 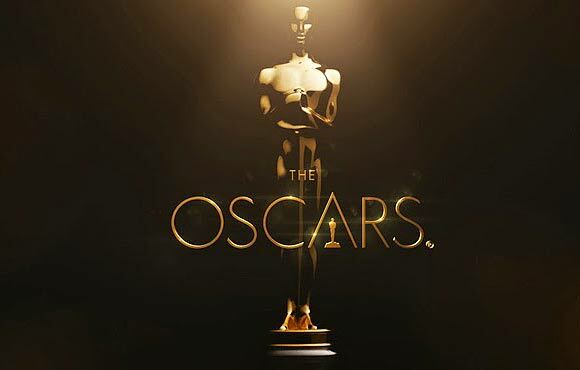 However, ‘Interstellar’ is not nominated for ‘Best Picture’ in the upcoming 87th Academy Awards. It only manages to grab few nominations in technical categories. Perhaps, Academy members are getting bored of another outer space film after the success of ‘Gravity’ just last year. But for me, ‘Interstellar’ is different from Alfonso Cuaron’s ‘Gravity’. Both took place mostly in outer space and are both wonderful movies! But ‘Gravity’ is going for a more ‘silent kill’ direction and straightforward while ‘Interstellar’ is on ‘epic blast’ approach equipped with a deep story. 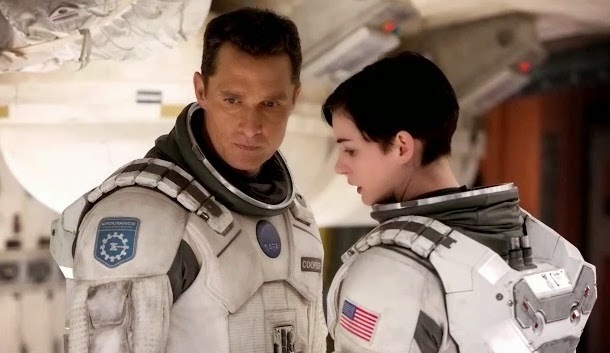 Before I moved on to the review, what is ‘interstellar’ actually? Oh, it means existing or occurring between stars. 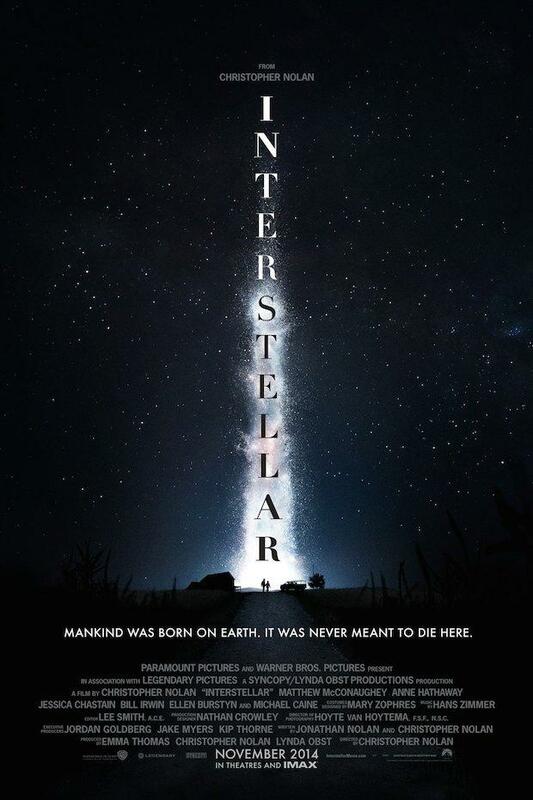 To further explain things up here, ‘Interstellar’, sets in a distant future, tells the story of a team of explorers whom had to travel through a wormhole in outer space in search for new habitable planets in attempt to ensure humanity’s survival. The main lead, the pilot had to abandon his family for the mission. The story itself is simply amazing. The idea behind it is brilliant and is cleverly executed in this near three hours long film. The storyline is deep and to some points, a bit going ‘out of reach’ and slightly complicated (similar to when I watched ‘Inception’ the first time). Only when I searched for its synopsis online, then only I can get it roughly in details. 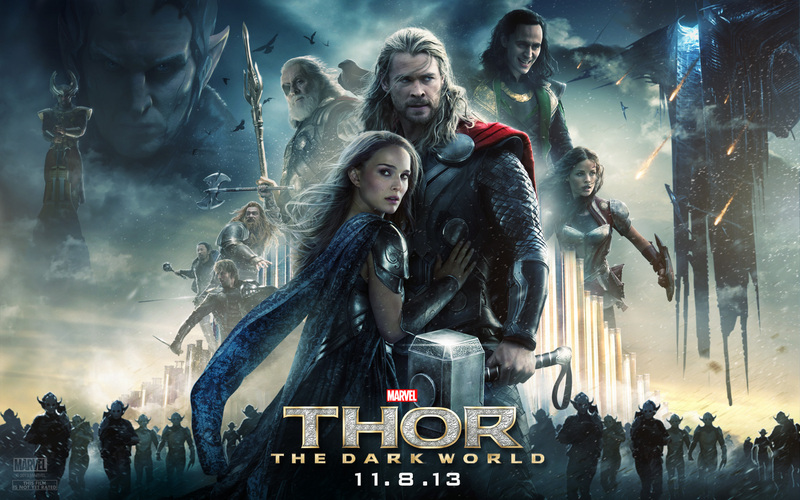 The plot is solid, complex and deserves near three hours to tell the story. It made you think, and a movie which does that is a successful one. I am also very impressed by some surprises or revelations (that relates back to earlier scenes) as the story develops. Exceptionally brilliant script and idea. The film starred Matthew McConaughey, Anne Hathaway, Jessica Chastain, Michael Caine, John Lithgow, Mackenzie Foy, Casey Affleck, Topher Grace, etc. Matthew is good, but I don’t really enjoy the way he speaks in the film sometimes (going blurry and looks like mumbling). Actually, every casts did well here, but this film isn’t there to showcase acting skills like what ‘Gravity’ did for Sandra Bullock. This film is more to show off the powerful idea of travel through wormhole to other galaxies and the exploration of science of time and gravity and their relationship. The subject of time and gravity addressed here is clever, but it gave me quite a headache especially in the second half of the film. I’m literally quite lost before I read its synopsis. ‘Interstellar’ also delivered when it comes to its visually striking scenes which are as good as the one in ‘Gravity’. Impressive visual works as observed. Besides that, when the movie’s music falls under Hans Zimmer, I knew that it must be great. And again, I’m speechless. Absolutely beautiful and touching scores that somehow elevates all the emotional and technical qualities of the film which are already high. In conclusion, ‘Interstellar’ is an epic outer space sci-fi masterpiece. If you missed the movie last year, you should get back to it like me. I assured that it will presents a three-hour long dazzling cinematic experience to you. 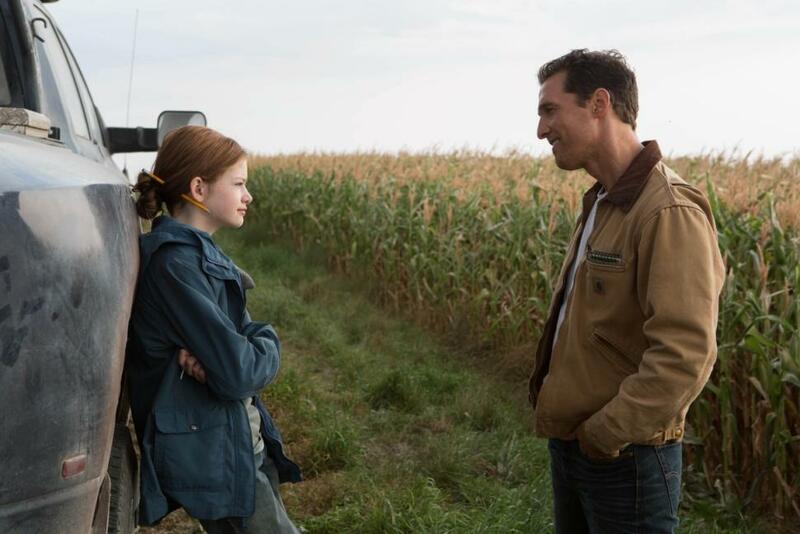 Impacting, emotional, technically advanced, and believed to be quite scientifically accurate too, ‘Interstellar’ is certainly one of the best films in 2014. Out of 10 points, I rate ‘Interstellar’ a total of 8.2, the highest rating I gave to a 2014 movie. 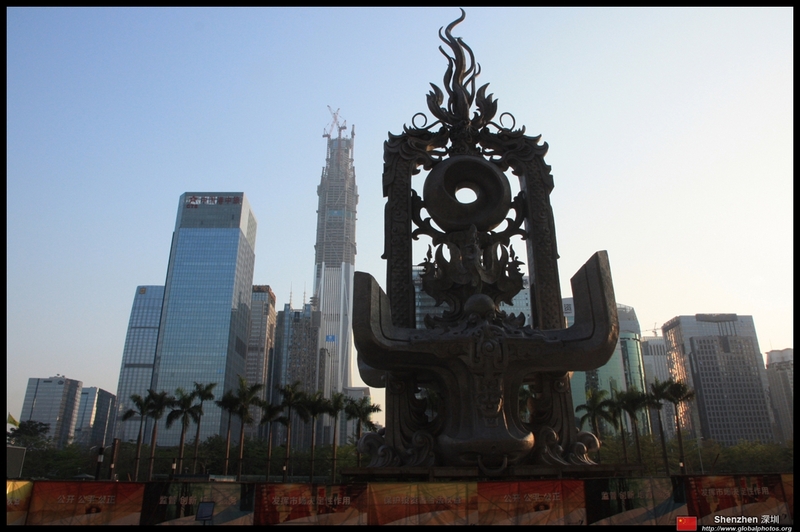 Counting down…one month to go before Chinese New Year, and my trip to Indonesia again! Is it only me that I felt January is moving a bit too slow? It’s now only barely few days after the mid of the month. This month is like so long for me. It seems like year 2015 started out too slow somehow. Anyway, when I checked on the calendar just now, I realized that we are just one month from the much anticipated Chinese New Year festival. It will be celebrated by the Chinese worldwide (also known as Spring Festival) on 19th February 2015, and that would marks the start of the year of goat. Whenever the time around the Chinese New Year comes, I’m always looking forward to take on variety of delicious new year cookies and biscuits. Now, I’m already requesting my dad to buy those quick. 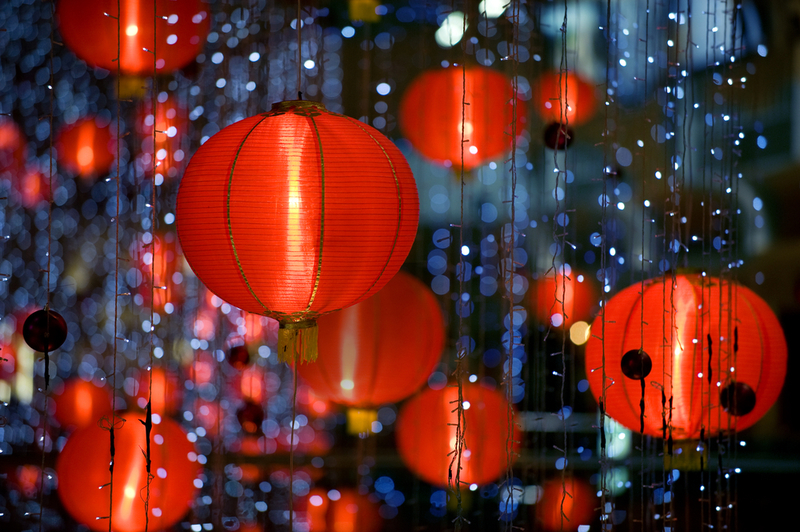 The Chinese New Year atmosphere is coming in slowly with lanterns display in various supermarkets, malls and streets, and I already can hear CNY music playing in several places. CNY is very great especially when we were still kids when we can gather and play around on basically anything we can think of in a huge house of a relative. Now, we have grown up and become adults, but I am still looking quite excited for Chinese New Year due to its holiday and also my usual annual family trip during CNY break. If you did catch up with my past write-up last year, you would already knew that I would be flying to Jogjakarta, Indonesia during the CNY break next month for a few days of family vacation after we have booked the tour in MATTA Fair several months ago. It would be only a short trip for us this time as we wished to cut on the spending of the family to better prepare for the coming implementation of Goods and Services Tax (GST). Even before it starts, many hawkers had already raised their food prices. Very unreasonable. Many prices of goods already increased terribly already right now. It’s just so hard to save based on current worsening economic situation in Malaysia. The consumers suffer. Okay…I shall stop my complaint and get back to my anticipation mood for the coming CNY and my holiday to Indonesia which is now roughly about a month from now. This will be my third consecutive trip to Indonesia, after I have been to Bali twice last year. 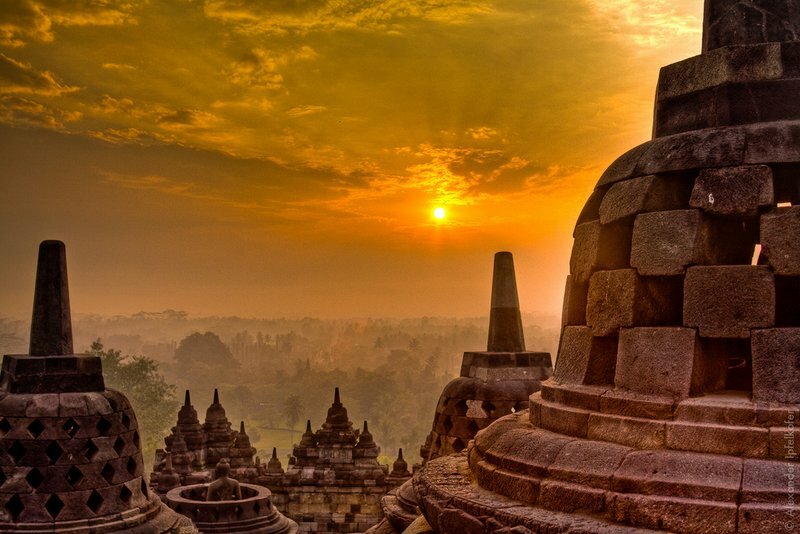 This time, we will go to Jogjakarta, the place where the famous Borobudur temple is. Looking forward to visit that UNESCO World Heritage Site, and also some other popular tourist destinations there like Prambanan Temple, etc. 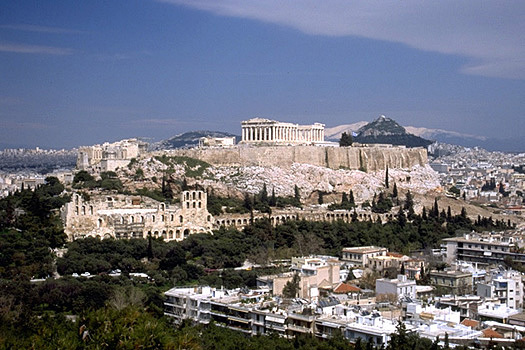 This trip is considered quite affordable (less than two thousands for one person) when we compared it to other more favourite places we wished to go but have to put away those thoughts (Australia, Dubai, United States, Egypt, Greece, Turkey, etc). 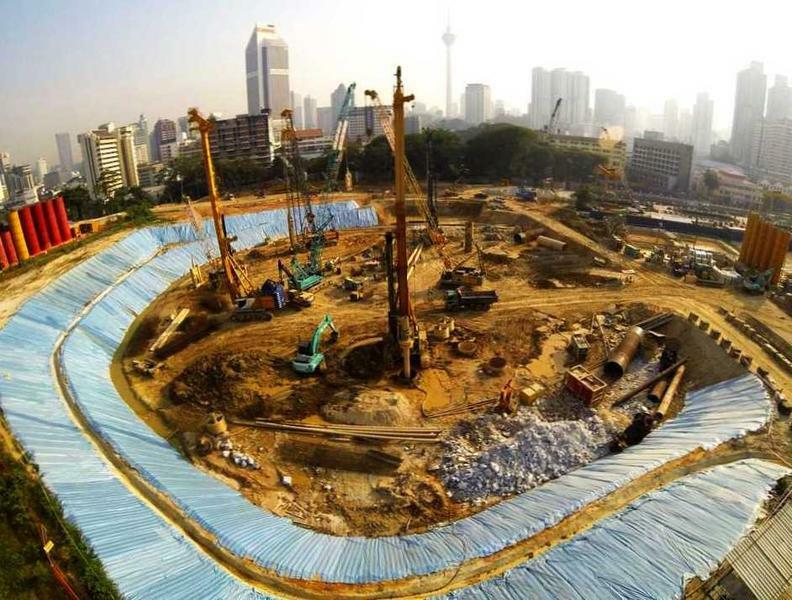 After giving my attention on several supertall skyscrapers under construction in China in my previous blog post, it’s time to shift back the focus to one supertall also currently undergoing construction back in my home city, Kuala Lumpur, Malaysia. 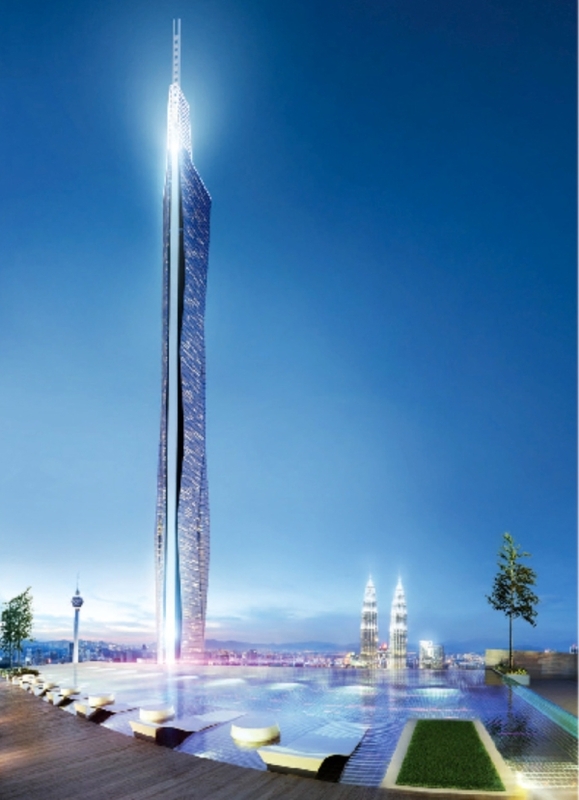 It is the controversial KL118 Tower. Why I said it is controversial? 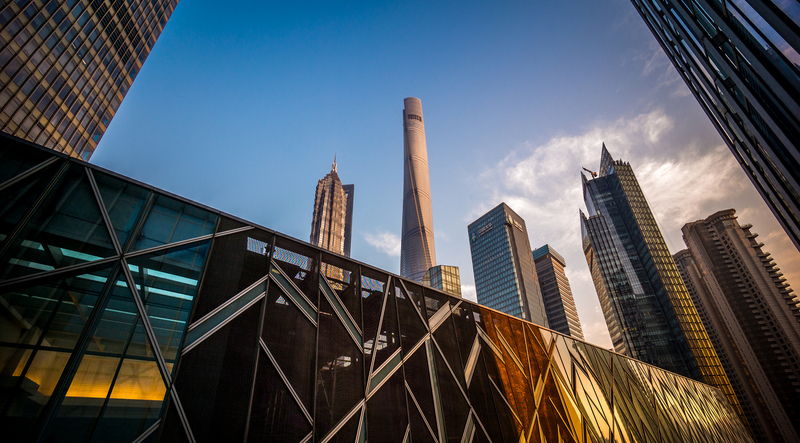 Because the project is receiving much more criticism than praise from the citizens regarding the need of the city for another supertall building. People also questioned that the budget (over RM 5 billion) allocated for it may be of better use in other areas. 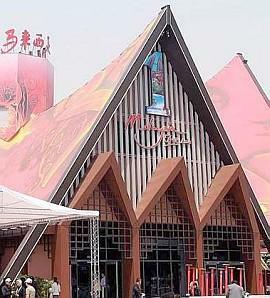 It is also criticized for its location as the site of the project is in the vicinity of many heritage buildings (Petaling Street, Stadium Merdeka, Stadium Negara, Methodist Boys School, Victoria Institution, etc) and the tower and its surrounding proposed complex development will leaves huge impact and further heavy traffic to the area. Whatever the criticisms are, the project is given the nod to proceed but not much details are publicized about the tower since then. 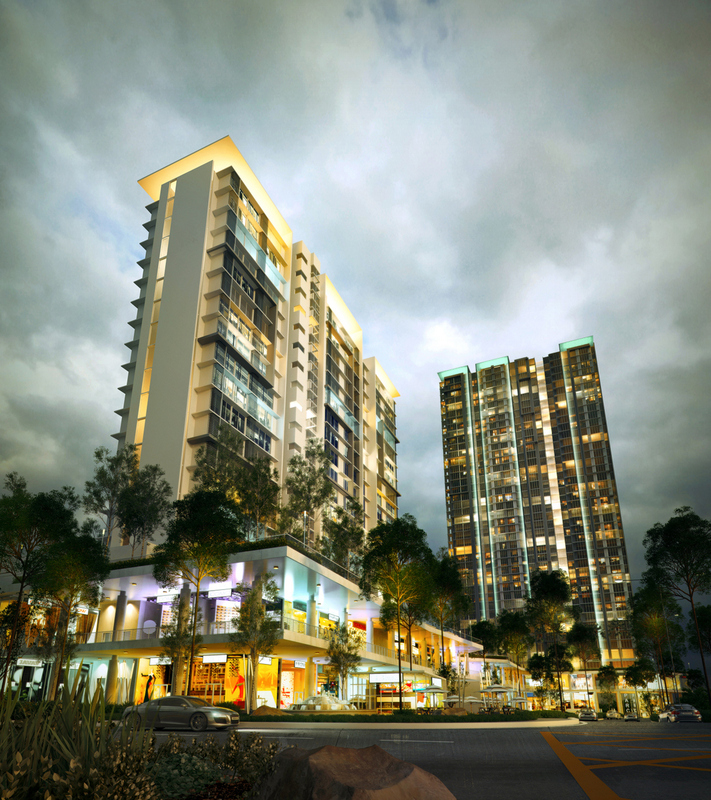 The KL118 Tower makes up part of a complex of development known as Warisan Merdeka (Heritage Independence) development that also includes residential towers, shopping mall, etc. The tower itself has 118 floors, and will easily surpass Petronas Twin Towers (452 metres high) as the tallest building in Malaysia. 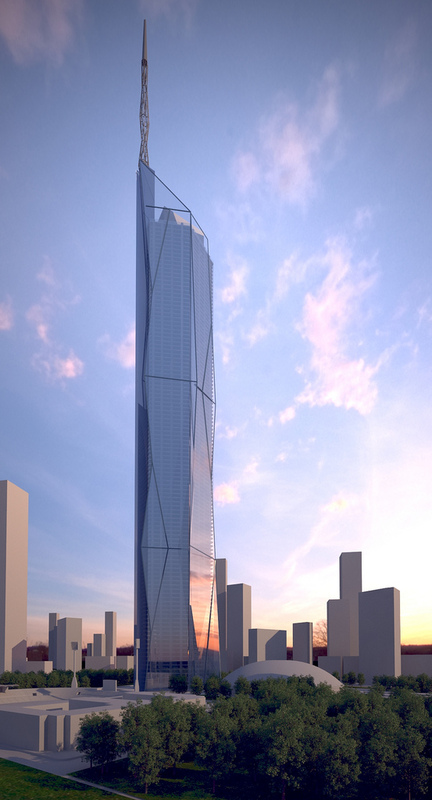 There has been speculations till now over the final height of the tower. 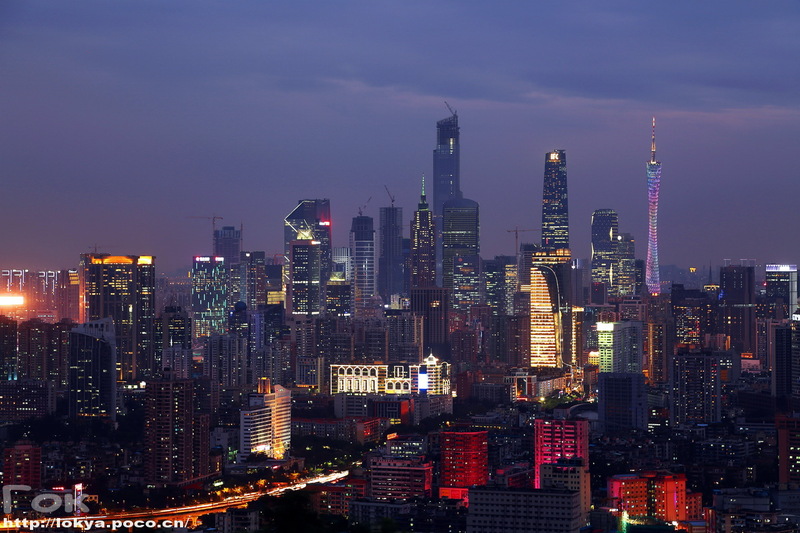 Previously, it is tipped to be slightly over 500 metres. 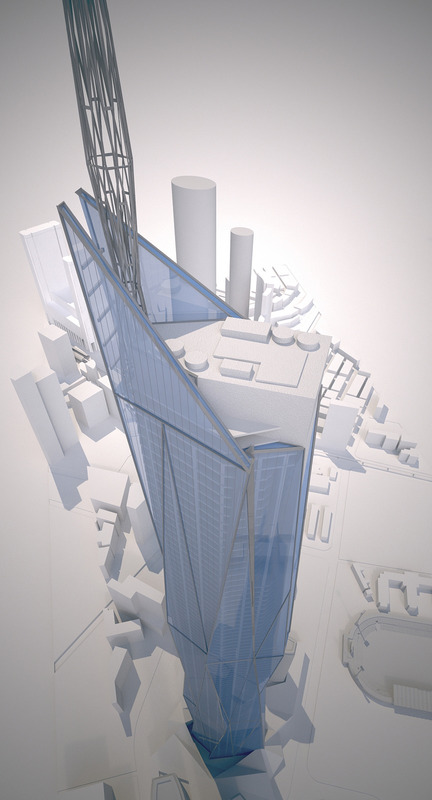 Then, the height is revised to allow the building to go taller without adding more floors by amending the design of the spire, the finishing crown to the skyscraper. So, what’s the height it would be? 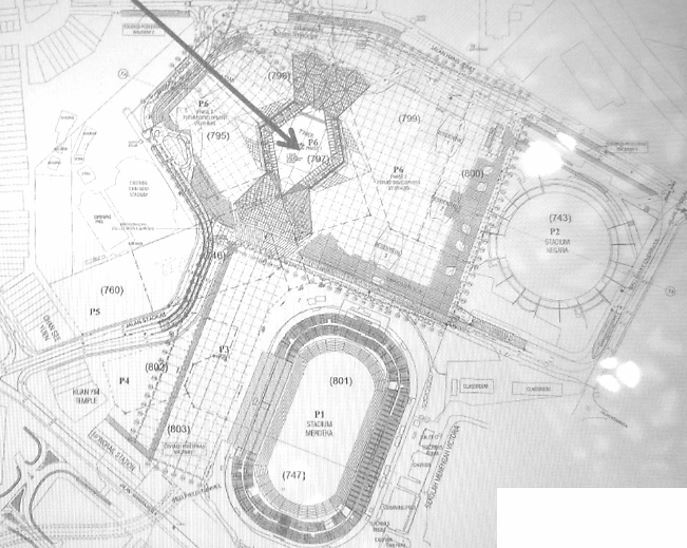 Based on the elevations or sections drawings available (leaked online), the building will be slightly over 600 metres. The height indicated from the ground floor is at about 75 metres till the top showing 715 metres. 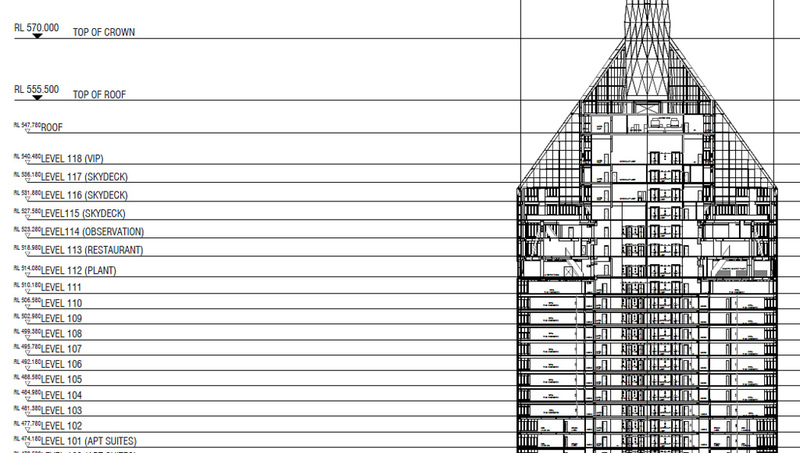 Hence, after the reduction, the building will reach full height of 640 metres. 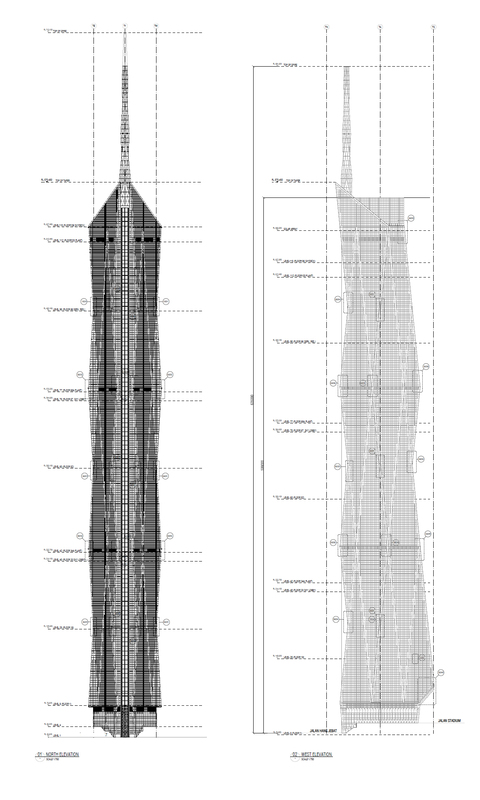 However, I think the structure / antenna above the spire will not be counted as the architectural height of the building. 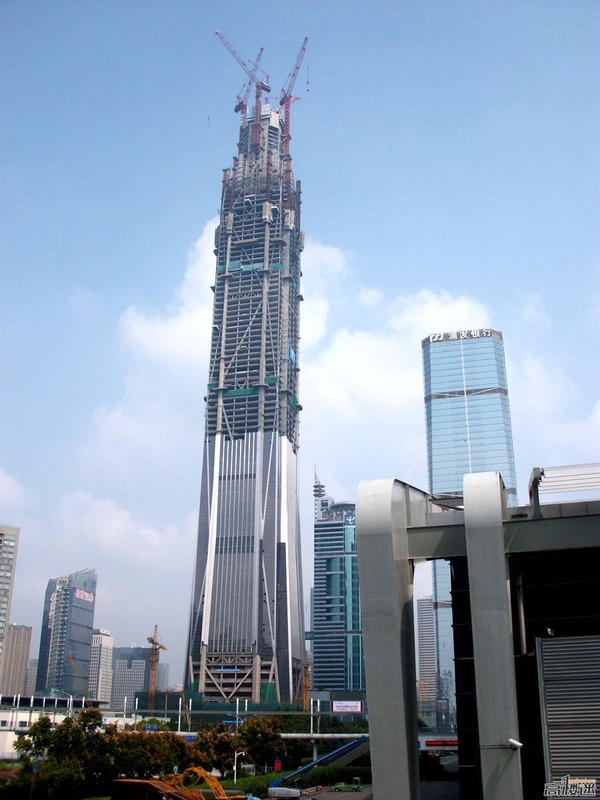 Hence, the final height of the tower would be about 610 metres. And there is a feeling in me that I think the tower will be of 615.7 metres (2020 feet high) in the end, to coincide with Wawasan (Vision) 2020; the year 2020 of which we targeted to achieve the high-income / developed nation status for Malaysia. It is also the year the tower would be opened to the public after its estimated completion in 2019. 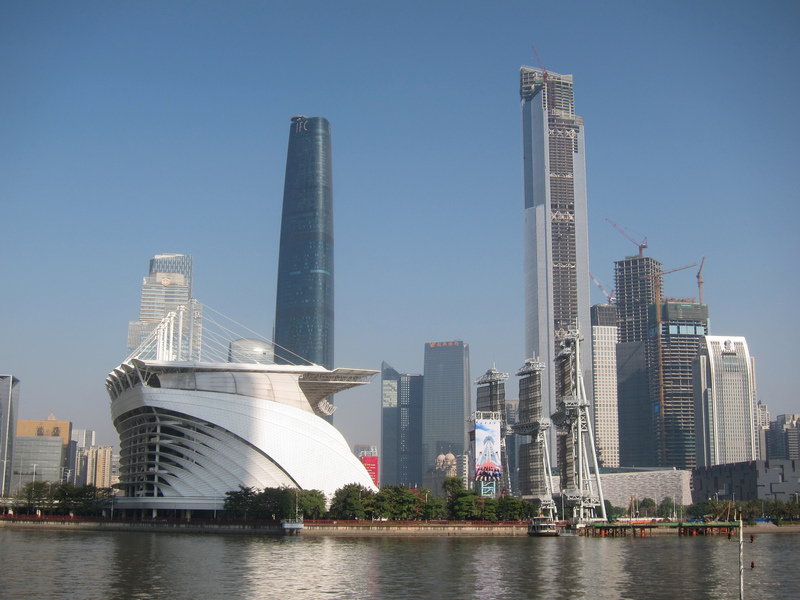 When completed, it will be one of the top ten tallest buildings in the world (probably in 6th or 7th place). Now, after seeing more images / renderings of the tower, what is your thought on its design which is obviously based on diamond. 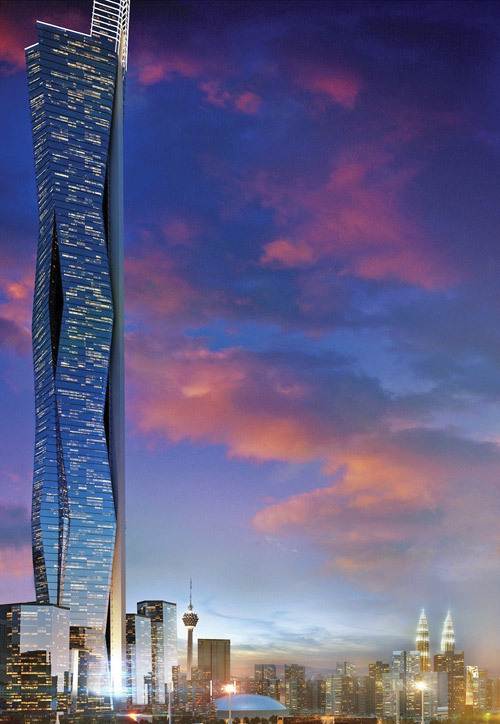 KL118 Tower (I think the name will change later on when it is opened) is designed by Fender Katsalidis Architects, an Australian architectural firm. It’s a nice, sleek and futuristic design, but I hope that they can do more on its elevations and its top part which is a bit boring. It is not as appealing or as impressive if compared to Petronas Twin Towers besides than its height. 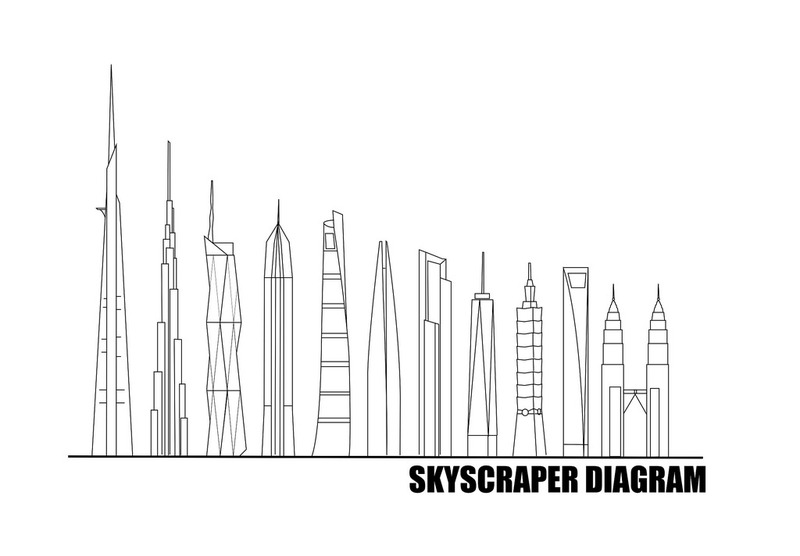 Still, KL118 Tower would be a good addition to the skyline of KL. 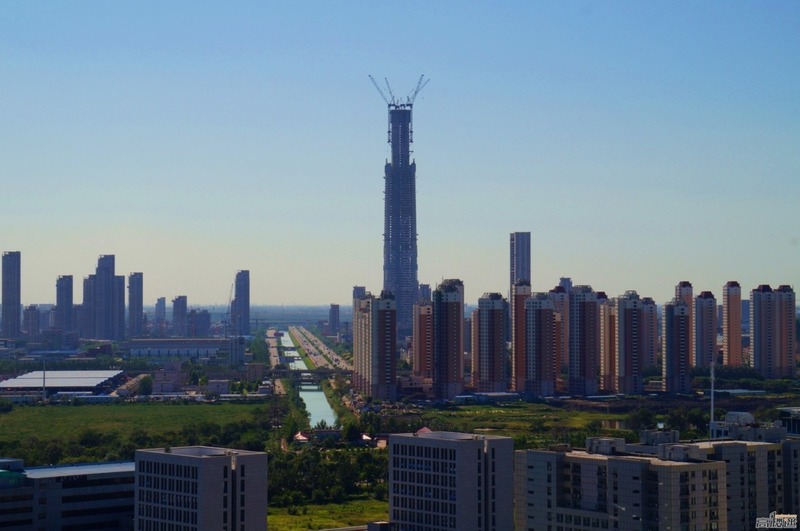 Updates on some China’s tallest buildings that are under construction and near completion. 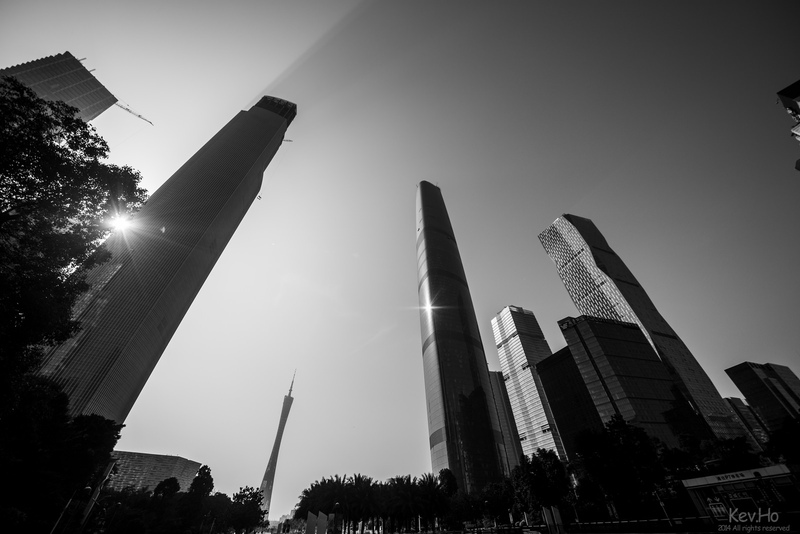 It has been a while since I last posted updates of several skyscrapers currently under construction in China. 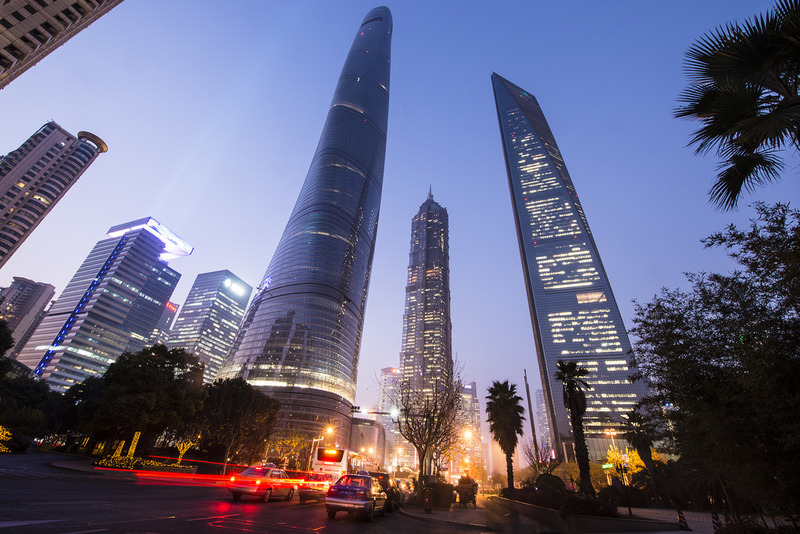 The country is no stranger when it comes to building extremely tall buildings, especially in their mega cities like Shanghai, Shenzhen, Guangzhou, etc. 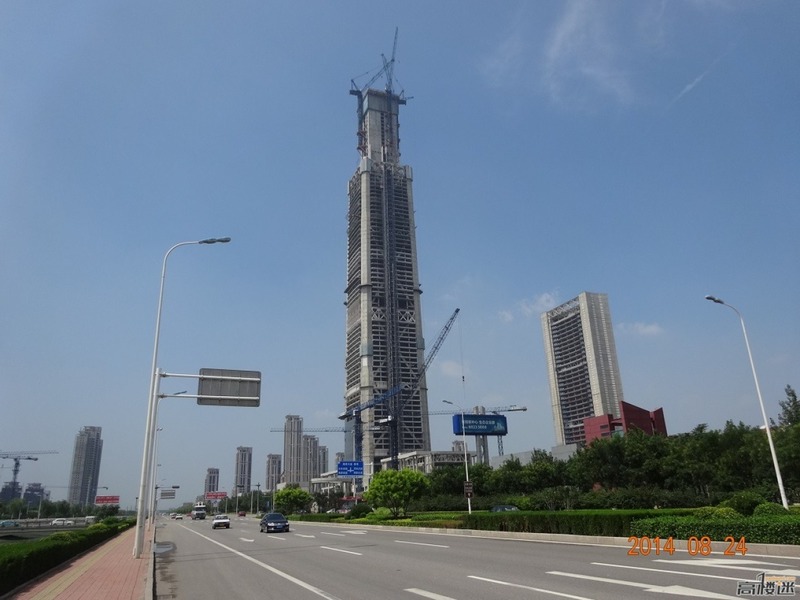 Here below are updates (latest construction images that will surely take your breath away) of four supertall skyscrapers in China currently under construction, but will very soon be completed. 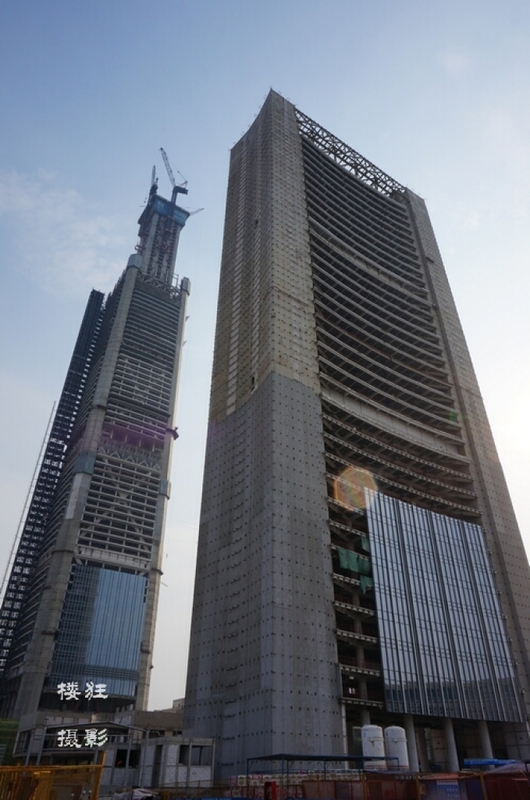 Don’t forget that these are only the under-construction mega skyscrapers in China that ARE NEARING COMPLETION. I didn’t include in many other on-going supertall building constructions in the country that are still years from finished. 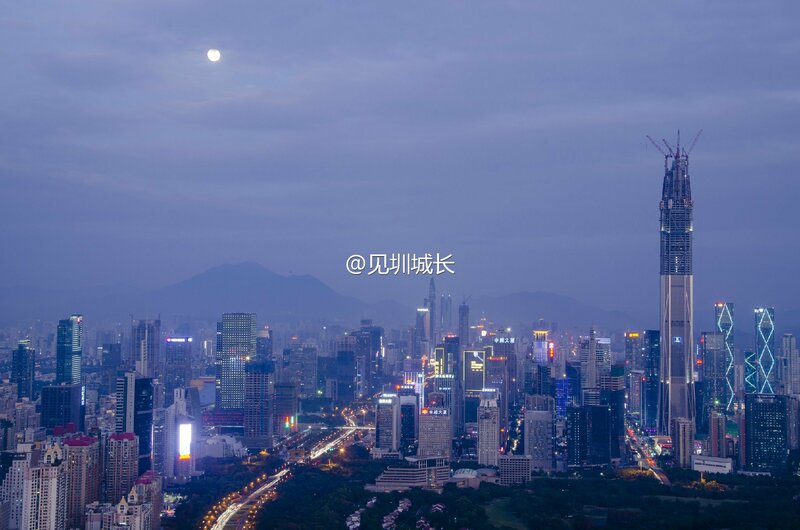 The 4 skyscrapers above are all above 500 metres mark respectively, and are scheduled to be completed and opened to public either this year or 2016. Impressive images, aren’t they? Simply breathtaking.